Do a little something different if you want too…. 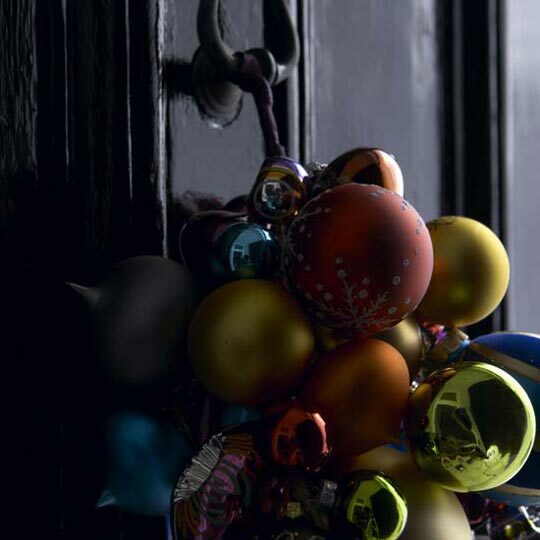 this is a great idea for those of you that have a door knocker. Wire some miscellaneous Christmas ornaments together and hang it from your knocker. Add a bow to step it up a notch. 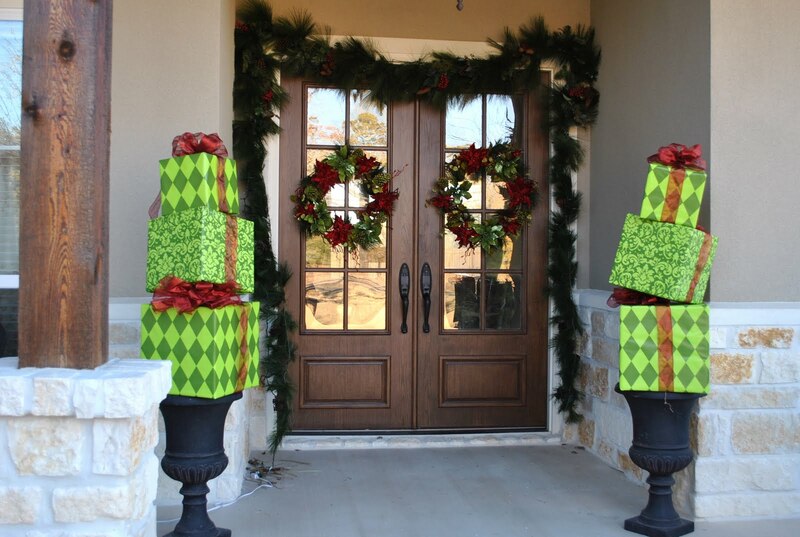 Simply turn your shipping boxes from all those gifts you bought and turn them into a low-cost decoration that your guest can enjoy as they enter your home for the holidays. Dont forget the bow! Ok I will admit, although this is not the easiest suggestion I have added but if you can pull it off you will be a ready for anything this holiday season will bring you. Poly Mesh, Wide wired ribbon, large ornaments, wrapped boxes to look like presents (save on the cost), wire it all to some garland and bling… you have a masterpiece! Good luck. 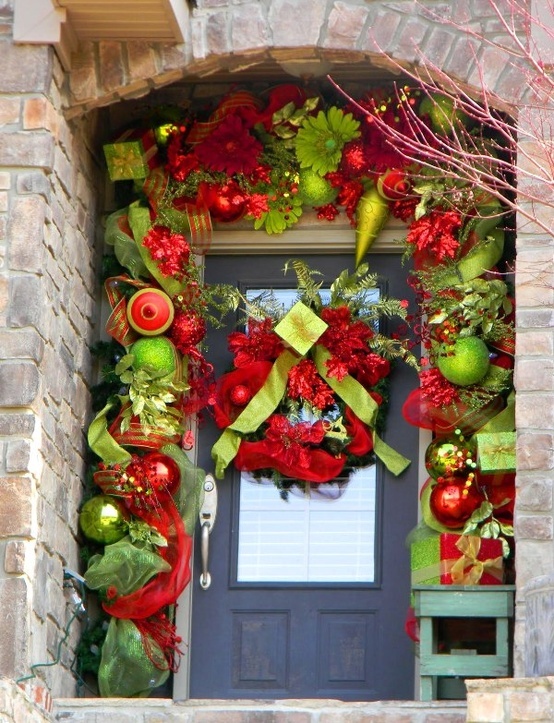 Ok last but not least, take 3 different sized wreaths (come in all different materials) get a top hat from the craft store and use an old scarf or you could change it up and put a bow around the neck to create a snow “woman”. Have fun with this! Ok I hope that you all enjoy these great ideas. Tweek them to make them unique in their own way and by all means… send me some pictures!